Born in St. Louis, Missouri, to a Palestinian father and an American mother, Naomi spent her high school years in Ramallah and in the Old City of Jerusalem; later she lived in San Antonio, Texas, where she received her B.A. in English and World Religions from Trinity University. Not surprisingly, her work reflects her experiences with cultural differences. “International in scope and internal in focus,” according to Jane Tanner in the Dictionary of Literary Biography, Naomi has, especially since 2001, become an increasingly prominent and effective voice working for peace in the Middle East. Naomi is the author of more than thirty volumes. Her books of poems include Different Ways to Pray, Hugging the Jukebox, Yellow Glove, Red Suitcase, Fuel, 19 Varieties of Gazelle: Poems of the Middle East, A Maze Me: Poems for Girls and You & Yours. She is also the author of Mint Snowball, Never in a Hurry, I’ll Ask You Three Times, Are You Okay?, Tales of Driving and Being Driven and the novels for young readers Habibi and Going Going as well as picture books for children, Baby Radar and Sitti’s Secrets. Other works include the anthologies You Let Me In, This Same Sky, The Space Between Our Footsteps: Poems & Paintings from the Middle East and What Have You Lost? In 2011 she published There Is No Long Distance Now (a collection of short stories) and Transfer (poems). She has been a Lannan Fellow, a Guggenheim Fellow and a Witter Bynner Fellow. Her numerous honors also include a Lavan Award from the Academy of American Poets. In January 2010 she was elected to the Board of Chancellors of the Academy of American Poets. But citing her honors and publications obscures the heart of this poet’s gift to readers everywhere. As she said in an interview with Kim Rosen, “I have respect for all paths that respect one another.” Naomi’s poems always remind me of the title of her very first book, Different Ways to Pray. “Writing,” she says, “has been a kind of spiritual devotion for me. Listening to language, feeling stories unfold and poems arrive, being present to the page — I do not think of it as a career, I think of it as a devotion.” No wonder her writings connect us so deeply to her, to each other, and to ourselves. Wendy Barker has published five collections of poetry and three chapbooks, most recently, Nothing Between Us, a novel in prose poems (Del Sol Press, 2009) and Things of the Weather (Pudding House, 2009). Other books include a selection of poems with accompanying essays, Poems’ Progress (Absey & Co., 2002) and a collection translated in collaboration with Saranindranath Tagore, Rabindranath Tagore: Final Poems (Braziller, 2001). 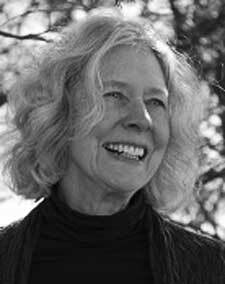 She has also published a scholarly study, Lunacy of Light: Emily Dickinson and the Experience of Metaphor (Southern Illinois University Press, 1987) and co-edited (with Sandra M. Gilbert) The House is Made of Poetry: The Art of Ruth Stone (Southern Illinois University Press, 1996). Her poems have appeared in Poetry, Georgia Review, Southern Review and Gettysburg Review. Recipient of NEA and Rockefeller fellowships, she is Poet-in-Residence and the Pearl LeWinn Endowed Professor of Creative Writing at the University of Texas at San Antonio. So good to find this on line!. The last time I saw Naomi it was at Tassajara, part of Zen Center. Hearing Beyond Sound, my new book on Amazon. It’s so good to rediscover these poems I first read in early editions of the poet’s books, years ago, and stopped to catch my breath because Naomi Shihab Nye was so good, so sharp, so humbly human. I stopped to catch my breath then—and now all over again, because— haunting in their simplicity—then, and now, they will haunt me still. It is lines such as these that make me love this poet’s works. Again. Now.